You love our brand and want to connect with us on a deeper level? You can apply to be our Brand AMBASSADOR or Brand ADVOCATE. These two are open only for a limited number of pole dancers. So if the application is temporarily closed due to fulfillment or you don’t meet the basic criteria just now or you simply love to spoil your friends with a good deal, then we invite you to sign up to our REFERRAL program. Just scroll down and sign up! We proudly present you our awesome Brand Ambassadors. In case you don’t know them already, following them is a must! A true pole inspiration! Taking a few moments to read and see their bio is really worthwhile! So at the moment, all 4 seats are already taken. But don’t let this stop you! You can still sign up to our REFERRAL program or maybe you can see if you’re meeting the criteria of Brand ADVOCATE. A warm welcome to Katarina – awesome pole and yoga teacher. If you’re in London be sure to attend her classes! We’re also aware that you might have many questions regarding all 3 programs. So do send us an e-mail and we’ll try our best to answer them. At the moment, only 2 BA seats are available. So check with us if you meet the criteria. But you can still sign up to our REFERRAL program easily. Unlike Brand Ambassadors or Advocates you don’t have to have a great social media engagement to be a part of our REFERRAL program. You simply have found a great product that you want to tell your friends about it because you believe that it will make their lives better and happier. 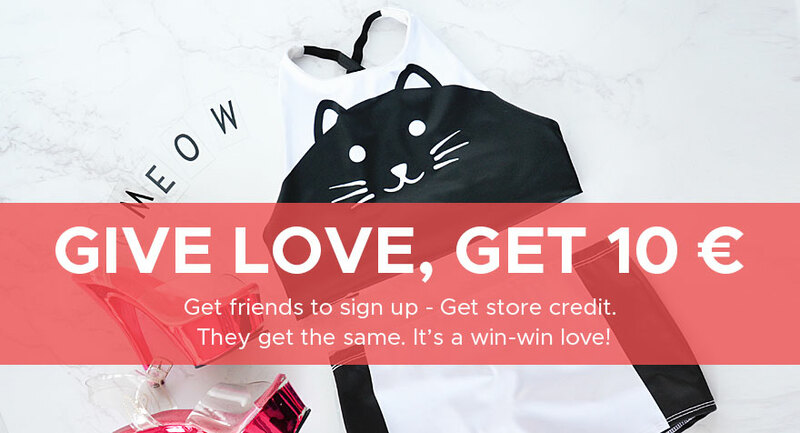 When signing up to Boomkats Referral program you get store credit when your friends sign up. And your friends get the same! So it’s a win-win combination for you and your friends. The only condition is to sign up. Click on the image below and get your share.